• Baltimore Ravens safety Eric Weddle says that nobody wants to face the Ravens in the playoffs, and we feel the same way. 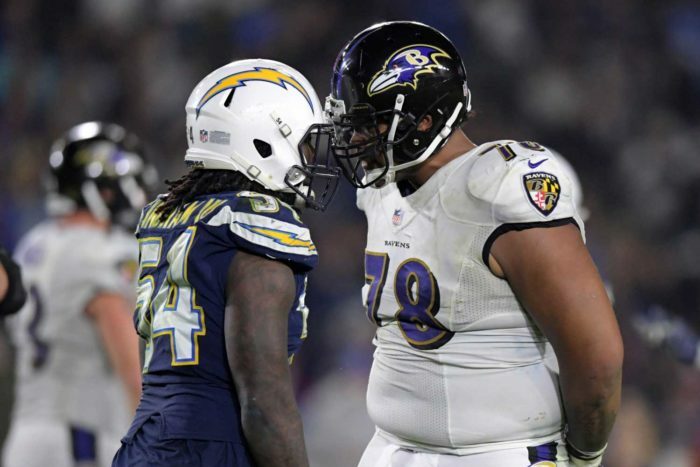 Not only are the Ravens playing with tremendous confidence, but they are a team that truly seems to believe it can physically dominate opponents. Going into Los Angeles and beating the Chargers on a short week, cross-country trip, while the Chargers had nine days to prepare, was very impressive. • If the Indianapolis Colts get into the playoffs, this is another team that we would find very dangerous. Quarterback Andrew Luck is playing with an enthusiasm we have not seen in several years, and this is a young team that clearly enjoys playing together. We saw Pro Bowl tight end Eric Ebron leave with an injury, however, so that bears monitoring. • Preseason previews predicted that the wide receiver position would be a weak unit of the Cleveland Browns. However, as things have turned out, the receiver group — Jarvis Landry, Antonio Callaway, Breshad Perriman and Rashard Higgins — is proving to be the heart of the team. Add in emerging tight end David Njoku and quarterback Baker Mayfield has a promising set of weapons for the near future. • Tampa Bay Buccaneers quarterback Jameis Winston has taken his fair share of criticism, but over the last several weeks he actually has played very well. Even though the Dallas Cowboys defeated the Bucs on Sunday, Winston carried the Bucs throughout much of this game and the Cowboys had to fight very hard for this victory. 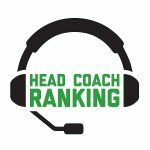 • As for the Cowboys, their offense has struggled for about three weeks now, and that will be a concern going into the playoffs. They just don’t look very crisp at the moment, and the offensive line appears to be wearing down. • The Minnesota Vikings need a win next week against the Bears to get into the playoffs. While the game is at home, we still don’t like the Vikings’ chances. While they defeated the Lions Sunday, the Vikings really didn’t do very much offensively until converting a Hail Mary attempt at the end of the first half. The Vikings clearly have the defense to contend, but offensively, they are far from an elite unit. • The coaching call of the day had to be the decision by Steelers head coach Mike Tomlin to try a fake punt with 4:06 left to go in New Orleans and nursing a four-point lead from his own 42-yard line. We have stated it here on many occasions: Tomlin, in our view, is an average in-game decision maker as a head coach. We feel this is one critical element that causes the Steelers to play below their potential. Sure enough, the fake punt was unsuccessful and the Saints took over on downs and drove for the game-winning touchdown. • Los Angeles Rams wide receiver Robert Woods doesn’t get much national acclaim, but we feel he is one of the best wide receivers in football. We consider him to be a complete receiver — one who will block, run, catch and do whatever is necessary to help his team win. He plays the position in a textbook fashion, and is a joy to watch. • Another player who does not get much national acclaim but is among the best players at his position is Seattle Seahawks cornerback Shaquille Griffin. He has emerged as a leader on one of the NFL’s top secondaries, and also is one of the best tackling corners in the game. • It’s very clear the New England Patriots are ailing. They just don’t know what type of offense they can run with consistent effectiveness. Even though they rushed for over 270 yards in Sunday’s win over the Buffalo Bills, the Patriots still struggled to score points. One of the main reasons is that the offensive line continues to commit a significant amount of penalties. The Patriots simply don’t have explosive enough offensive personnel to overcome first-and-20 time and again.